In addition, especially for you we offer an elegant atmosphere and a list of selected drinks, which you can enjoy at the bar restaurant, which works during the meal time. The guests of the hotel may use any of the 240 seats in the cool, lighted and fancy hall and the 200 seats on the terrace, symbol of luxury, ease and comfort. in the Pelican Hotel is luxurious and lovely. Here, the hotel guests may enjoy a cup of aromatic coffee or just relax and have a rest during the hot summer days with the soft light adding its touch to this wonderful atmosphere. This is the right place for a cup of nice coffee during the day, for one or more drinks in the evening – the place where you can listen to good music. It offers a wide variety of alcoholic, soft and hot beverages, and different types of cocktails. The guest may use its 120 seats. Sit down and have a break or chat with your friends with a cup of hot, freshly ground aromatic coffee. The friendly attitude of our staff adds to the luxury atmosphere, which embraces you with peace and harmony. Cocktails of proven excellent taste and panoramic view. 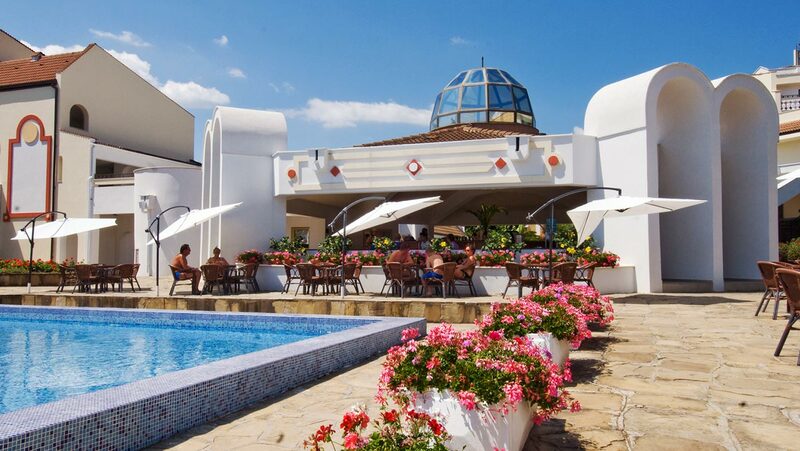 If you think that the only thing you miss is a swimming pool to make your pleasure complete - you are wrong, because next to the bar you can find the spacious swimming pool bathing in sunlight with comfortable furniture and charming bartenders who are ready to raise your spirits. 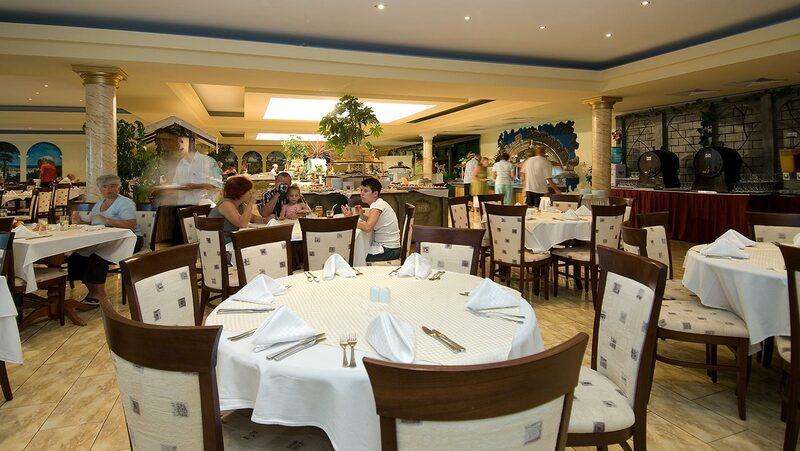 The pool bar has 150 seats and a sandwich corner from 11.30 AM to 06.00 PM. From 04.00 PM to 05.00 PM, those who love afternoon coffee or tea may choose among the variety of sweets and snacks we offer.